You want to become a marine researcher or are looking for an academic education that qualifies you for a profession in the field of marine use / protection of the marine environment? This is possible at the universities of Rostock and Greifswald - not least thanks to the active participation of the IOW. Its scientists offer their own courses, carry out practical courses at sea, supervise bachelor and master theses, diploma and doctoral theses. A successful degree in the courses of study Biosciences (Bachelor of Sciences, University of Rostock), ,Physics Bachelor of Sciences University of Rostock), Chemistry (Bachelor of Sciences, University of Rostock) or Geosciences (Bachelor of Sciences, University of Greifswald) is a prerequisite for studying marine sciences. 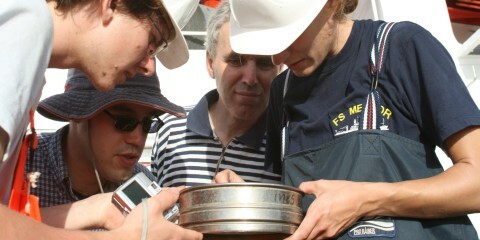 Specialisation in oceanography takes place in the respective Master's programmes based on this. 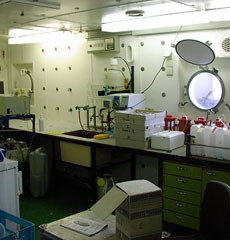 As a special feature, the University of Rostock offers educational courses on research diving. Here, too, IOW employees provide essential support.